ANSYS Mechanical Basic Structural Nonlinearities is a training course for engineers that need to perform structural nonlinear analyses using ANSYS Structural Mechanics products. After completing the course, students should be able to perform, in ANSYS Mechanical, a nonlinear structural analysis. 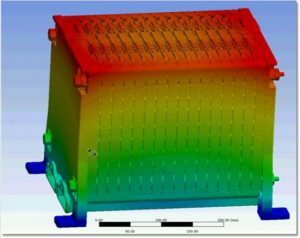 This course is intended for users who have taken the ANSYS Mechanical – Introduction course and who are already familiar with the procedures for performing a linear static analysis in ANSYS.